Samuel Jefferies from Money Nest is on a mission to educate a generation. He aims to help 20-30 year olds who’ve missed out on the benefit of personal finance education in school, and breaks down everything they need to know about money now and in the future. We learned a bit more about Money Nest and how it got started. Growing up in the United Kingdom, I found myself living through huge financial storms. Global economic meltdowns and ‘double-dip’ recessions have become the norm. Yet I’d received no financial navigation through school, college and even university. The rule books of one of life’s biggest games was never handed to me, so I decided to write it. 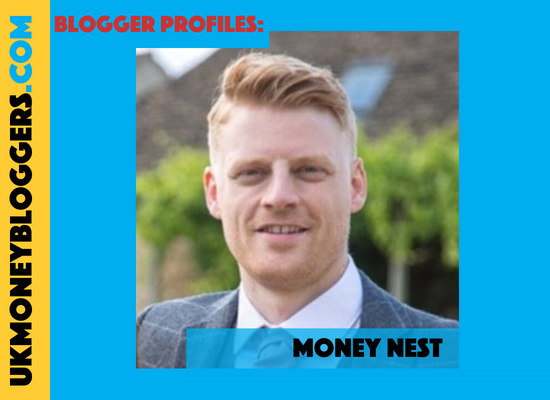 My blog Money Nest aims to burst open the doors on the financial lessons no one ever taught you at school. We teach exactly how to budget, invest and even publish success stories of those people who’ve already achieved it. I am somewhat fascinated by money both as a means of exchange, the psychological effect it has on people and the difference it can make on people’s lives. It’s this last point that really struck a nerve with me as I began my own journey learning about personal finance. Thinking back through my schooling I had not received a single lesson on managing money! I could recite how many acres of rainforest wer being deforested or calculate algebra but I couldn’t tell you who was in charge of changing interest rates or how they would impact my life. So I set out seek the answers myself and share them with the world. I started in the worst possible way! I began by literally hard coding an entire website myself. I learned a lot in the process but definitely added a lot of time and should of really started with a free host like WordPress. I went back over thirty years to compare whether property or shares was a better investment. The post was a lot of work for me as it involved creating quite a complex financial model within Excel, so I was pleased it did so well. The same as above! If I had known how long it would have taken to write I’m not sure I would have proceeded with it but I’m sure glad I did! Set up an investment today. It’s a very simple tip but it’s resulting effect really compounds throughout your life. The main benefit is to get into the habit as early as possible as the compounding interest really loads up as the years pass. Now, seriously go! Hmmm, good question! I think get going early and keep to a routine. I started in 2016 but was very slow off the mark. Only here in 2018 am I taking my blog seriously and starting to really get going. I accidentally found the group on Facebook (rather than finding the website first) but I’m so glad I did! It offers fantastic opportunities for both networking with other bloggers, opportunities to work with brands and a support group of friendly members. Monevator, Fire VS London & The Fire Starter.